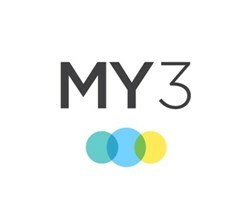 As part of a comprehensive Suicide Prevention Initiative, the California Mental Health Services Authority (CalMHSA) has launched a new Mobil app, “MY3” which will help individuals at risk for suicide to quickly connect to their support network, and their own plan to stay safe. The MY3 app has three fully customizable features that can be used at the first signs of emotional distress; 1) A phonebook with three primary contacts to call for support, in addition to phone numbers to connect individuals to the National Suicide Prevention Lifeline and 911, 2) a step-by-step plan and 3) tailored resources. MY3 was created in partnership with the “Know the Signs” statewide suicide prevention campaign. The MY3 app is funded by counties through the voter approved Mental Health Services Act (MHSA) (Prop. 63). This entry was posted in Suicide Prevention and tagged Mental health, Suicide. Bookmark the permalink.